Soup is one of the most versatile and hearty and nutritious foods you can eat. The range of soup possibilities you can whip up in your kitchen is made even wider when you consider that you can use any standard blender to make delicious cold soups. One very attractive feature about soup is that you can make huge batches, even if you’re just cooking for one. Soup freezes really well, so feel free to go crazy with your cold soups batch sizes. You can make a giant batch and freeze portions for later. Here’s how to freeze your cold soups in a safe manner. Purchase a box of large-mouth Mason jars or Ball canning jars. Purchase a canning funnel. These are made to fill the large mouth jars without spillage. Run the jars through your dishwasher to get them squeaky clean. Seal the jar with the 2-piece canning lids. Label each jar according to what kind of soup and store in the freezer for up to three months. 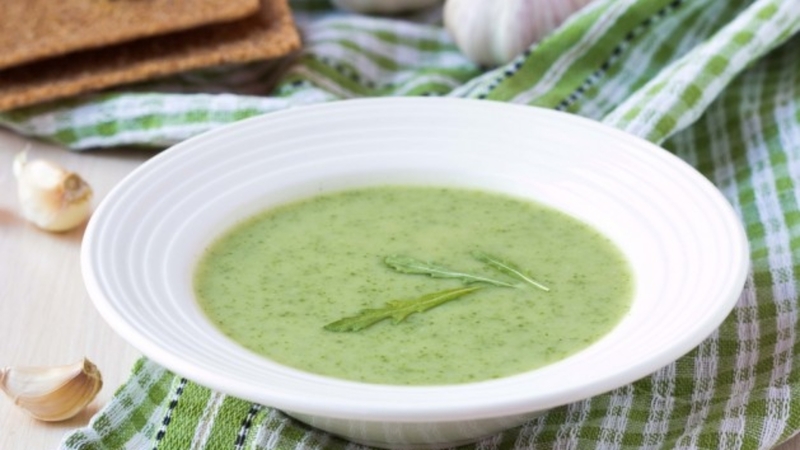 Here are some cold soups to whip up in your kitchen blender today! This soup is rich and creamy, yet it won’t leave you feeling uncomfortably full. Perfect for lunch or brunch on a warm summer day! In your blender, puree all the ingredients until smooth. Serve immediately. Garnish with lemon wedges. Serves 4. Cold cucumber soup is something that dates all the way back to the Victorian age, and maybe beyond that. This classic is still popular, especially for those who live in hot regions of the world. This blender soup is possibly one of the easiest soup recipes you’ll ever make. Blend the cucumbers first, then add the remaining ingredients and blend until smooth. Serve chilled. Garnish with cucumber slices and a sprinkle of fresh dill. Serves 4-6. If you’re looking for an unusual way to add more greens into your diet, this is a delicious option. Serve before lunch on a warm day, or anytime you want a pick-me-up. Blend the cucumber and lettuce first, then add the remaining ingredients, reserving one scallion for the garnish. Blend until thoroughly smooth, then store in refrigerator to chill. Serve cold. Garnish with chopped scallions if desired. Serves 4.